We the undersigned organizations, representing millions of Americans who support limited government, taxpayer rights, and economic freedom, write to express our concerns over the European Commission’s proposed “Tax System in the EU for the Digital Single Market” and the subsequent actions of its competition authorities to attack US businesses. This scheme would place an ill-designed, discriminatory tax on what the Commission calls “digital services,” while creating radical new definitions of physical presence for tax purposes. In so doing, the proposal would undermine well-established principles of equitable taxation, penalize countries that offer attractive tax rates, and imperil key protections from arbitrary tax administration. • Taxing “foreign” job creators can backfire on workers far closer to home. For example, U.S. companies employ nearly 5 million people in Europe, many of whom are connected to the tech sector. In a global economy, labor, investments, and trade can flow across boundaries to the benefit of everyone, provided governments don’t attempt to overtax or overregulate them. • Policies evident in the Commission’s framework, such as physical presence definitions or special levies on activities deemed “too lightly” taxed, could be readily adapted for targeting many types of individual and business taxpayers. • Public officials with other multinational organizations and individual countries on every continent are carefully observing the European Union’s approaches in order to fashion them for their own uses. • Higher prices for hundreds of millions of consumers. Commission denials to the contrary, we know from experience that every business must somehow offset higher overhead costs caused by government demands for more revenue. • Lower economic growth in Europe itself. U.S. multinationals have created digital platforms and marketplaces that comprise an infrastructure for European companies of all types to innovate and reach customers worldwide – a goal that EU members have professed repeatedly, and it is now in danger from what amount to protectionist tax policies. • Diminished returns for tens of millions of shareholders, many of whom are pensioners in government-sponsored plans that invest in large company stocks. • Reduced opportunities for tens of thousands of smaller enterprises that support multinational firms. In 2016 the World Trade Organization reported that entities of fewer than 250 employees account for more than 40 percent of all export activity in developed countries, including participation in Global Value Chains. The Commission should not be creating indirect tax barriers for these entities, and especially for those in developing nations. The Organisation for Economic Cooperation and Development has cautioned in its own reports that “it would be difficult, if not impossible, to ring-fence the digital economy from the rest of the economy” and that “the tax issues raised by digitalisation are technically complex.” Additionally, a recent study from the European Centre for International Political Economy calculated that the five-year average effective corporate tax rate of digital group corporations is just 0.3 percentage-points lower than traditional companies on the Euro Stoxx 50. These conclusions alone suggest EU member states should avoid acting rashly on the Commission’s plan. 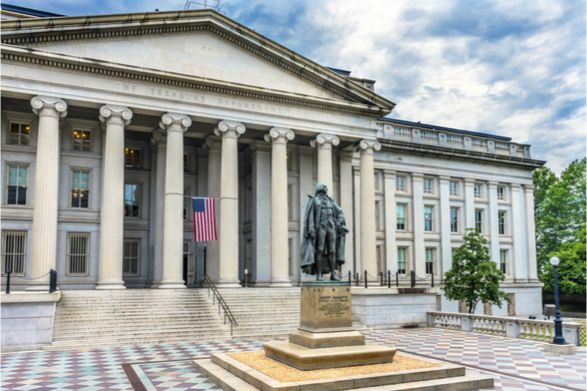 In Congressional hearings and other settings this year, you have committed to steadfastly defending the US-grounded principles of competitive tax policies and consistent, fair administration. We applaud your stance, and assure you that we will publicly support it. Our organizations have witnessed firsthand the adverse consequences of punitive, uncompetitive tax policies on families, businesses, and the economies of nations. We therefore urge you to reject the digital tax framework and instead work toward fiscal reforms that maximize prosperity on both sides of the Atlantic, and for our entire world.